The other night, I made a new recipe and thought it would be a great addition to my horse show cooler o’ goodness. I’m all for the occasional egg sandwich (they always seem to be outstanding) or pulled-pork sandwich on show day, but sometimes I just need healthier food. Those are long days of expending tons of energy, so I always try to bring healthy food in my cooler. Thus – my list for the ultimate horse show cooler. When your day begins around 3 in the morning – which, let’s be honest, is still the middle of the night – you’re going to need a lot of caffeine. I like Starbucks’ bottled Vanilla Iced Coffee. I usually bring two per day. And if that doesn’t sound like much, it’s because I also bring energy drinks. 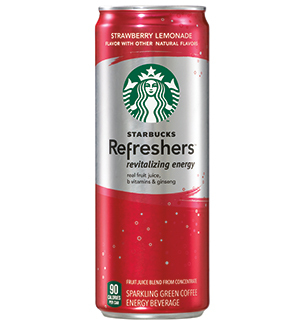 I personally can’t stand conventional energy drinks, so I once again turn to trusty Starbucks and bring a couple of their Refreshers. They are made from green coffee, and they basically taste like fizzy juice. When it’s 85 with 90% humidity, they really live up to their name. This is the easiest healthy snack that I like to bring to horse shows. My trainer brought watermelon to a show a couple of years ago and it changed my life. Other great choices are cantaloupe and grapes. These last two are excellent because if, like me, you are in danger of dropping fruit on your white show shirt, they won’t leave a visible mark. Fruit is so great because it’s full of water to help with hydration, plus it has natural sugar that helps keep your energy levels up without a sugar crash. 3. Water. Lots and lots of water. I usually freeze two or three bottles of water and use them to keep my cooler – well, cool – and they slowly melt so you have delicious icy water later in the afternoon. 4. Some sort of salad. One of my go-tos is a Caprese Salad adapted from Weight Watchers, because it’s literally the easiest thing to make and it keeps well in a cooler. I also recently discovered a farro-based recipe from Skinnytaste that seems like an excellent addition. Cook the pasta according to the package. Slice the tomatoes in half. Combine the cooked pasta, halved tomatoes and mozzarella. Drizzle in olive oil, balsamic vinegar and basil (to taste). It’s excellent with fresh basil, but dried works fine, too. Sometimes I add a bit of dried oregano, too. You know, if I’m feeling wild. The new salad I recently discovered is from my favorite recipe site, Skinnytaste. 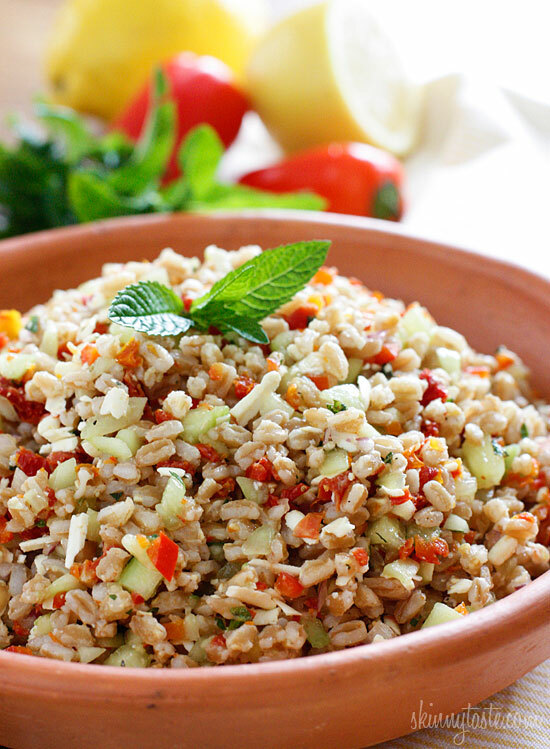 This recipe is for Farro with Feta, Cucumber and Sun-Dried Tomatoes (pictured above). It’s so yummy. The mint really makes it, and all the veggies are crunchy and fresh. Yum yum. Okay, I live in Wisconsin so I naturally love cheese. But really, the protein and saltiness hits the spot at horse shows. String cheese is great, or those Babybell mini cheese rounds. It’s pretty much the perfect snack. What do you put in your cooler for horse show days/weekends? Awesome idea! I’ll have to add that to my list for this summer. You had me at Wisconsin. What a great state. I grew up going to camp in East Troy (where I first got to ride horses). My parents have a small place near Silver Lake (Salem). My sister teaches school in Lake Geneva (but she technically lives in IL–right over the border). Love cheese curds and Culvers. Because all those Culver’s calories will convert to positive energy specifically for horse showing. I think that’s scientifically proven. Hi there! This post is so helpful! I do agree, coffee is an absolute must have! And the fruit is great idea, it sounds like it could really help if you don’t want to constantly chug water all day. I find Gatorade can really help too, because it can be more refreshing then water on a hot day. I really appreciate this post, your writing is amazing! 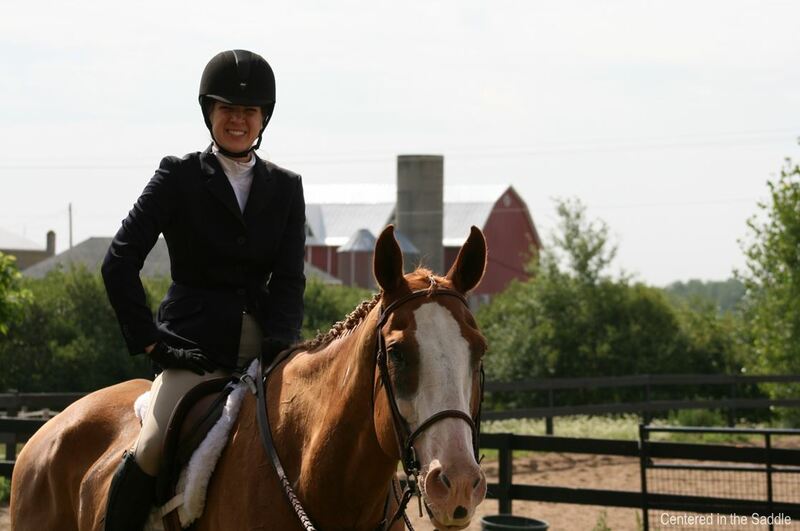 I have just started an equestrian blog, myhorsemylife, and I hope it will be this good someday!